Christian Nielsen, Ph.d., is Professor at Aalborg University in Denmark. He is Centre Director of CREBS (Center for Research Excellence in Business modelS, www.crebs.aau.dk), the worlds first interdisciplinary research center focusing on business models. Christian has previously worked as an equity strategist and macro economist focusing specifically on integrating Intellectual Capital and ESG factors into business model valuations. His Ph.d. dissertation from 2005 won the Emerald/EFMD Annual Outstanding Doctoral Research Award, and in 2011 he received the Emerald Literati Network Outstanding Reviewer Award. 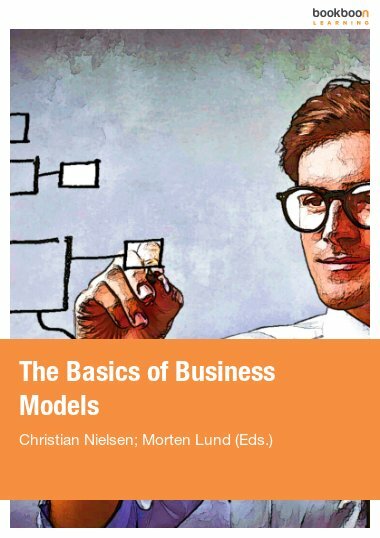 Christian Nielsen has a substantial number of international publications to his record and his research interests concern analyzing, evaluating and measuring the performance of business models. Morten Lund, MA in Business, Ph.d. Fellow at Aalborg University in Denmark. He is an experienced entrepreneur and executive, with a combined pragmatic and creative profile. He believes in mixing knowledge and creativity with methods and structure. He has a wide knowledge and experience both practically and methodologically/theoretically that he has gained through a natural curiosity and eagerness to discover new dimensions of business. He is among the founding group of CREBS (Center for Research Excellence in Business modelS, www.crebs.aau.dk), the worlds first interdisciplinary research center focusing on business models. Romeo V. Turcan is Associate Professor at Aalborg University in Denmark. He holds a PhD and an MSc degree from Strathclyde University in the UK, and mechanical engineering degree from the Air Force Engineering Military Academy in Latvia. He has researched in the areas of entrepreneurship and international business, including aspects of legitimation, internationalization of entrepreneurial firms, de- and re-internationalization of knowledge intensive ventures. He has studied the entrepreneurial capabilities and business models of knowledge intensive firms and is interested in cross-disciplinary theory building. Dr. Turcan has published in Journal of International Entrepreneurship, International Journal of Entrepreneurship and Small Business, International Entrepreneurship and Management Journal, Venture Capital: an International Journal of Entrepreneurial Finance, International Small Business Journal, and Advances in International Management. Yariv Taran, Ph.D, is an Assistant Professor at the Center for Industrial Production at Aalborg University. He received his bachelor’s degree in Management and Sociology at the Open University of Israel, and M.Sc. in Economics and Business Administration at Aalborg University. His research focuses on business model innovation. Other areas of research interests include intellectual capital management, knowledge management, entrepreneurship and regional systems of innovation. Marco Montemari, Ph.D., is Research Grantee at the Marche Polytechnic University (Faculty of Economics “G. Fuà”). His research interests concern management accounting and intellectual capital. Marco was a visiting Ph.D. student at the Aalborg University in Denmark from May to August 2011. His Ph.D. dissertation focused on how cognitive maps can support and improve the measurement and the management of intellectual capital. Anders Drejer is a Full Professor in Strategic Management and Business Development at Aalborg University, Department of Economy and Management. Professor Drejer has a M.Sc. 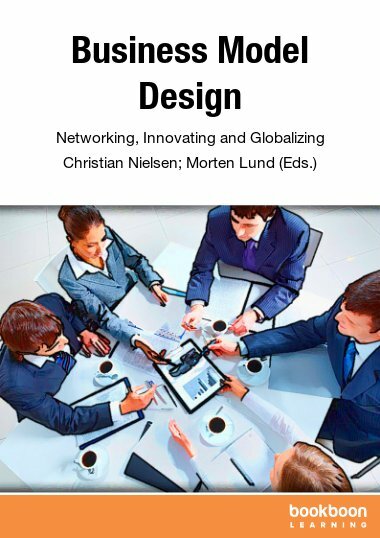 in Industrial Engineering (1993) and a Ph.D. in strategy (1996) from Aalborg University. He has published extensively over the years including 14 books and more than 100 journal papers and scientific articles. Furthermore, Professor Drejer is a well-known expert in the media, public speaker and advisor to a number of organisations. At present, Professor Drejer is interested in the new business models that are being created based on globalization, digitalisation, experience economy and new competitive landscapes. Jan Michalak is Associate Professor at Lodz University in Poland. His research interests concern management accounting, especially performance measurement and management. His wider area of interest is finance, strategy and business reporting. He is author and coauthor of five books and more than forty articles on the above mentioned topics. He is also an experienced consultant on management accounting. Sune Gudiksen is PhD fellow at Aalborg University and holds a master degree in experience design. He is an experienced design workshop planner and facilitator with the stated aim of running workshops every month to keep facilitating and tool development techniques sharp. He uses most of his time to develop methods, tools, techniques and processes, followed by deeper analysis of the effects they have on different product, service or business model cases. Among the publications are the benefits of the using design materials be that visual, tangible or embodied approaches, to unfold future scenario perspectives, while he has a specific interest in the use of concept design games to provide an improvisational mode of thinking. He is the owner of the new blog initiative on www.businessmodeldesign.org where he posts regularly about design, tools, cases and business model issues from a design and innovation point of view.